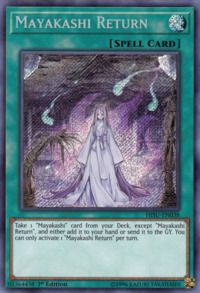 Take 1 “Mayakashi” card from your Deck, except “Mayakashi Return”, and either add it to your hand or send it to the GY. 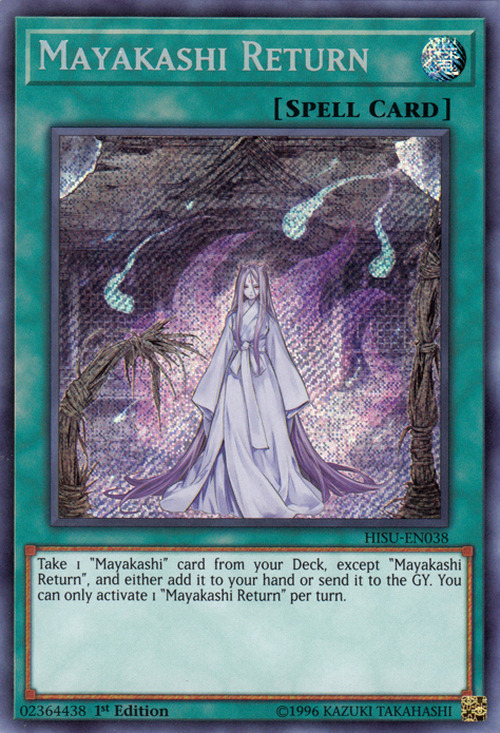 You can only activate 1 “Mayakashi Return” per turn. Dakki, the Graceful Mayakashi appears in this card's artwork. This card features the same shrine as the one in the artwork of Shiranui Style Samsara, although the building has greatly aged or after being damaged.